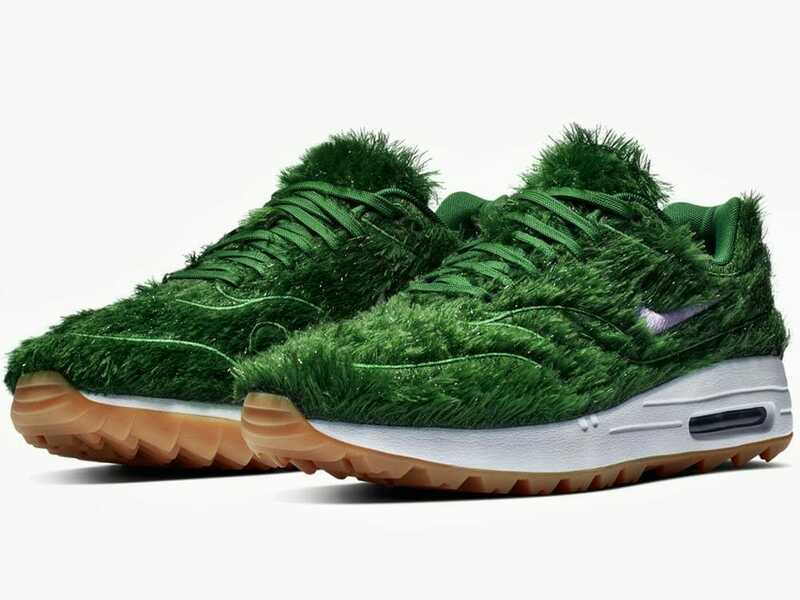 '1 Golf Grass' Nike Air Max Vegan Trainers or WTF?! 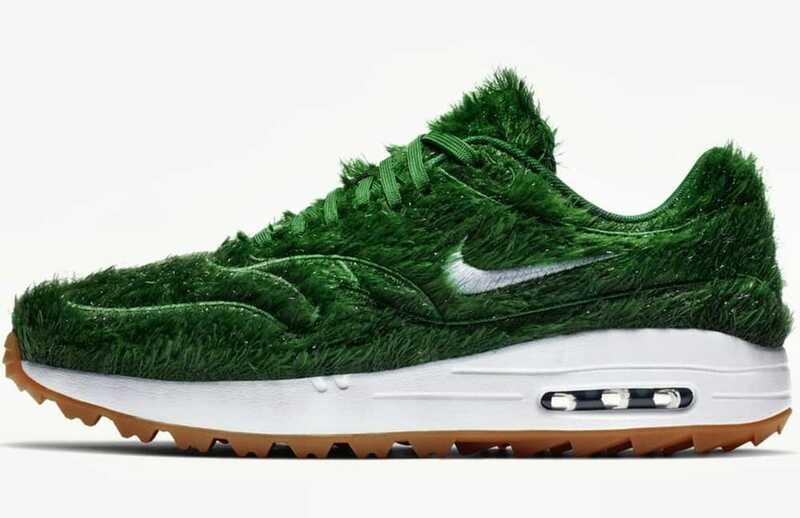 ‘1 Golf Grass’ Nike Air Max Vegan Trainers or WTF?! In times of vegan fashion taking over the media (green, eco, sustainable, ethical and all of that) I’m not too sure how to take Nike’s latest interpretation of its classic Air Max trainers! 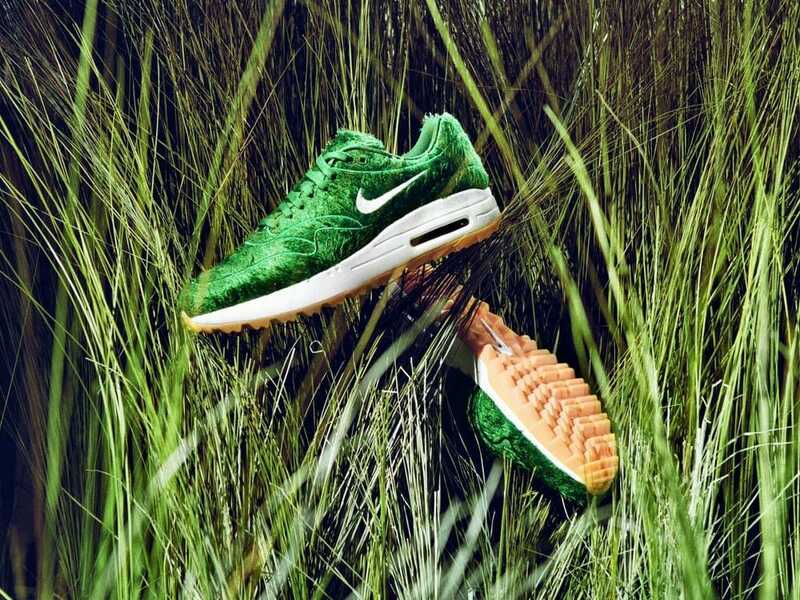 The American sports brand just released its intentions to launch a new version of its ‘sanctified’ Air Max trainers, this time suggestively named as the ‘Golf Grass’. And guess what, they look just like that. 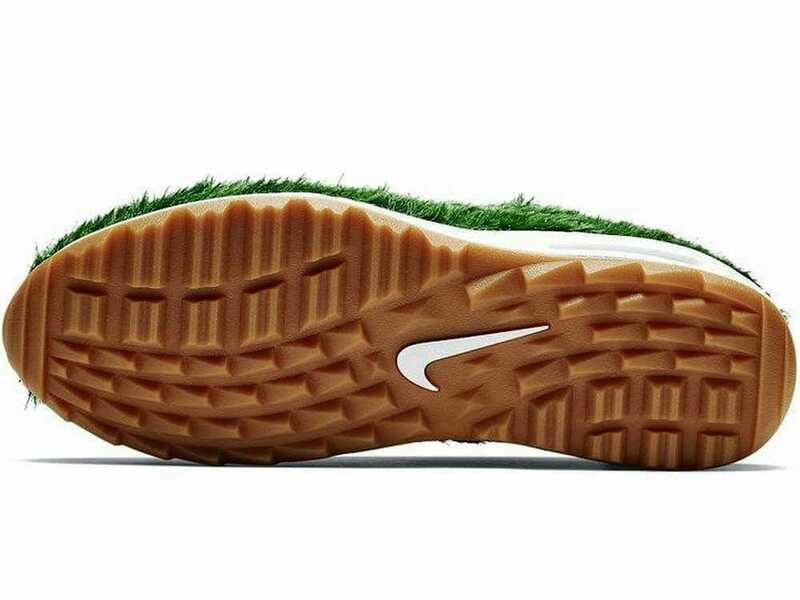 Designed by Tinker Hatfield, the ‘1 Golf Grass’ Nike Air Max trainers will feature gum rubber outsoles with golf-ready traction, astroturf around the outside, with the swoosh lost somewhere in the bushes. 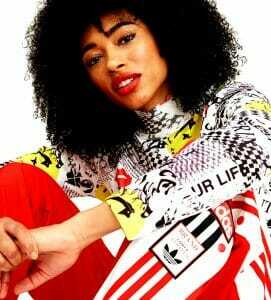 The proposed sale price is £110 in the UK and $140 in the US, despite not having a definitive release date yet. 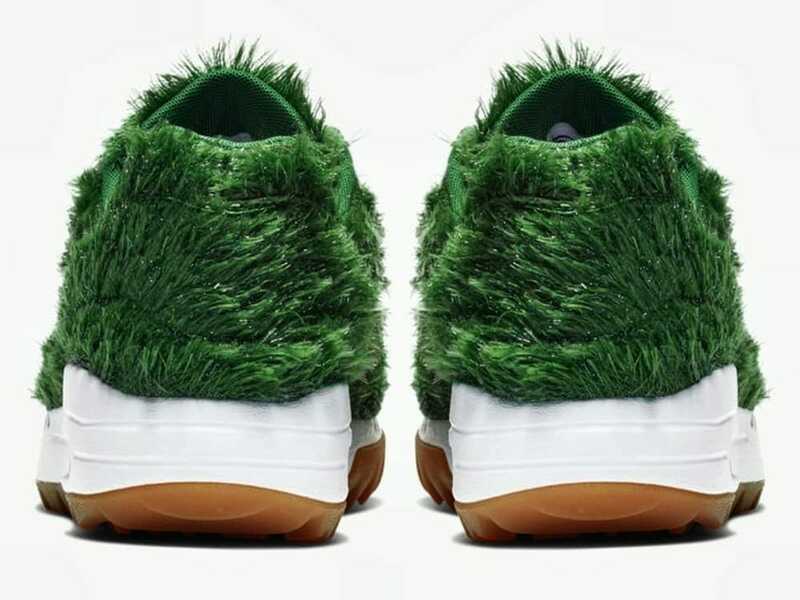 The announcement of the ‘green grass sneakers’ has been met with hilarious and yet, positive reactions so far. 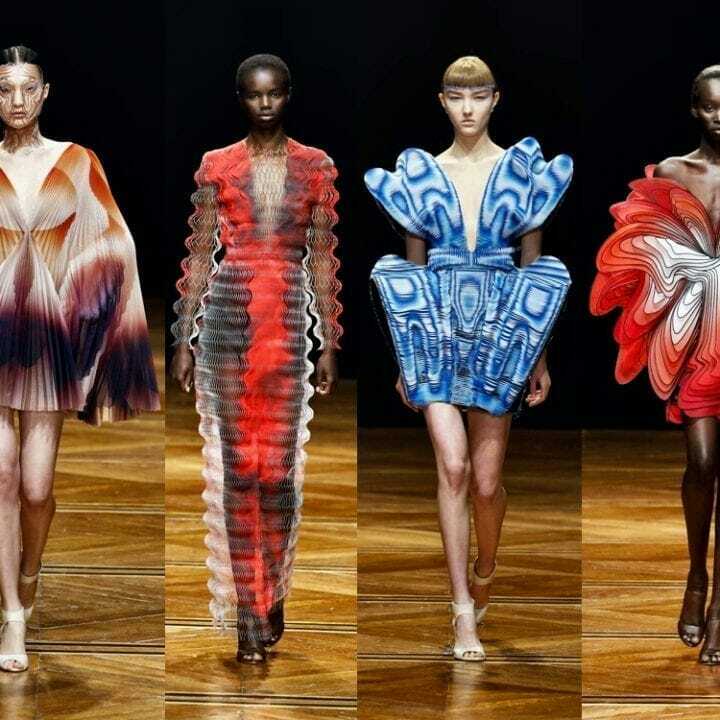 The announcement sparked a lot of jokes on social media with people asking whether the designer was high during the creative process or if the American label wants to make a sustainable statement with the release of these trainers. 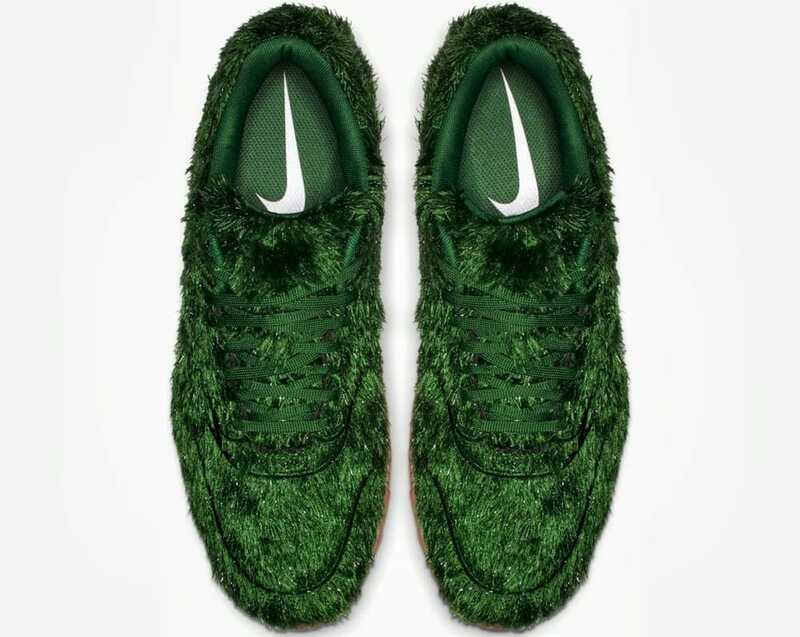 As I’m quite tempted to get a pair, I can’t end this without asking: Do you feel the astroturf footwear is a step too far into the landscape of sustainable apparel or would you shamelessly rock your pair of Air Max 1 Golf Grass on the streets of London?